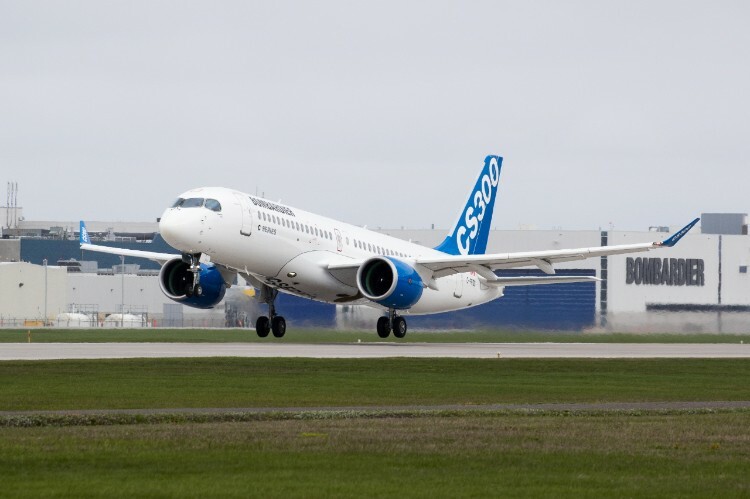 Bombardier Commercial Aircraft announced today at the Global Sustainable Aviation Summit in Geneva the publication of the Environmental Product Declaration (EPD®) for the CS300 aircraft. The news was made public one year after the CS100 aircraft received the same certification. No other aircraft manufacturer discloses the full environmental impact of their products. “At Bombardier, we believe in concrete actions and transparency when it comes to creating more sustainable growth in the aviation industry,” said Fred Cromer, President, Bombardier Commercial Aircraft. “As we now know and as our competitors have noticed, the C Series is simply unmatched and this EPD® provides our customers and stakeholders with a complete view of the CS300 aircraft’s environmental performance, which was optimized at every stage of its lifecycle,” he added. “We are pleased to see Bombardier continuing to pioneer the use of EPD®s in the aircraft industry. We hope that also others can follow their example. Transparent declarations of the environmental performance over the whole life cycle enables more informed decisions and contributes to the work to improve the environmental performance of the sector,” said Elin Eriksson, Chair, EPD® International AB. The EPD®, which is based on verified Life Cycle Analysis (LCA) data, discloses information about the life-cycle environmental impact of products and, thus provides the basis for a fair comparison of products and services vis-à-vis their environmental performance. Last year, Bombardier selected a CS100 aircraft for the first-ever EPD®, and this year, a Bombardier CS300 was chosen for the exercise. The C Series aircraft has an unmatched fuel efficiency of as little as two litres of fuel per 100 km per passenger*. This means that over its operational lifespan, each C Series aircraft is expected to reduce the amount of carbon dioxide emissions released to the atmosphere by up to 120,000 tonnes compared to other closest-sized airliners. That is equivalent to taking more than 32,000 mid-sized cars off the road for a year. The C Series aircraft`s noise signature is comparable to smaller airliners, such as regional aircraft, making it an ideal solution for urban operations and the most community-friendly aircraft in the small single-aisle category.